The ECB have decided to retain the Twenty20 fixture list for next summer despite the fears of dwindling interest, according to a report in the Daily Telegraph. 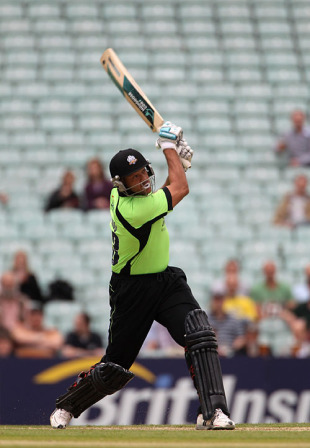 The Friends Provident t20 lasted an eye-watering 151 matches in the 2010 season and was widely criticised for failing to draw the big crowds earlier versions of the Twenty20 Cup had brought. Yet the smaller counties rely on the income generated from the long fixture list and won their battle to resist change at a meeting at Lord's on Tuesday. The counties have been hoping the ECB could resolve the scheduling issue soon in order to begin their marketing campaign for next summer, and there is a growing dissatisfaction over the lack of leadership shown by the ECB over the matter. The counties suffered poor financial returns last season which has made the fixture problem more acute. Many grounds are in the expensive process of upgrading their facilities in the search for lucrative international hosting rights. Almost all of last season also suffered the interruption of the football World Cup dominating the summer as well as the neutral Test series between Pakistan and Australia. The hope is that without these distractions the 2011 season will be easier to sell to the public.